Pitchbox is a content marketing and influencer outreach platform. 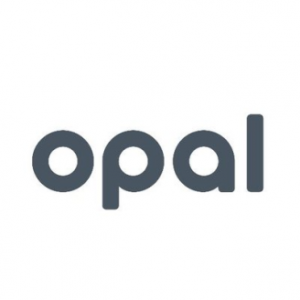 It offers brands, SEO agencies, and publishers with online tools to connect with bloggers and influencers, identify strong link building opportunities, curate content, collaborate with teams, and streamline their outreach processes. In this article, we cover user reviews. Ready to try Pitchbox? Book a demo. Users who gave Pitchbox a positive review mentioned that they love the platform’s audience targeting tool and its email marketing and email automation features. Some commented that it enables them to easily find social influencers and bloggers for their projects, as well as connect with potential prospects. One user who left a positive review of Pitchbox on G2 Crowd said that it is a great online solution to find link building opportunities, influencers, and leads. He also likes its automated email follow-ups, easy to set up projects, and helpful analytics. Users who gave Pitchbox a negative review complained about experiencing slow page load times. Several others commented that its pricing plans are a bit pricey compared to similar software. One user who left a negative review of Pitchbox on G2 Crowd dislikes having to wait for some of the platform’s pages to load on-screen. Despite him having found a workaround that includes opening separate tabs to preview pages, he stated that it is very frustrating. Pitchbox does not publish pricing information on their website and is available only upon request. However, according to a third-party site, its price starts at $49/month/user, while another third-party site claims that it starts at $95/month. Interested users may contact Pitchbox’s sales team to request for pricing details. 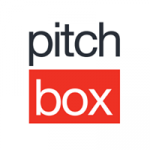 Ready to try out Pitchbox? Book a demo. What are the campaign types that users can run with Pitchbox? Users can run several campaign types, such as Blogger Outreach, Advanced Operator Search, CSV Import Campaigns, and many others. How many outreach emails can users send in a day? The number of outreach emails that users can send daily depends on their chosen Pitchbox plan. Interested users may get in touch with their sales team to request for more information. Not sure if Pitchbox is the right fit for you? Read our reviews of all top content marketing software providers or check out one of these three Pitchbox competitors. Extremely helpful customer service. They continue to roll out new updates to enhance functionality. Had one issue a couple years ago where emails were being marked as read by the PB system. Bug was resolved quickly. There is a ton to learn depending on how deep you’re going to be using the system. Their blog does a great job of providing guides as to how to use their system and new functionality. Be organized up front when you’re uploading .cvs files into PitchBox, and continue that organization when organizing data in PitchBox.